I just left a 90 minute Yin yoga class. Well, by "just" I mean about an hour ago. In between, I crushed a delicious "alkaline vegan platter," before throwing up these thoughts. The THOUGHTS not the food! The food was dope. Moving on, I'll explain where the hell I am and what the hell "Yin" is soon. At the beginning of that yoga class, the teacher said something that really resonated with me. She repeated a number of "simple" phrases that bounced about in my mind while my body stayed entirely still. After enough bouncing, they eventually took shape and became attached to meaning. That's the entire point of the monologue your teacher delivers throughout a yoga practice, especially Yin. A clear and simple message is repeated and it's up to you to make it resonate - or not, if you so choose. So, that initial message that got me was... "Give it time." She used those three words while explaining the structure of Yin yoga. Yin is a class where you hold a series of semi-stressful poses for 3, 5 or 9 minutes at a time. The structure, she explained, requires that you don't rush. You can't just hurry into any of the postures and hold it carelessly. You need to allow each pose the adjustment time it deserves. The way I interpreted that, of course had nothing to do with yoga. I've been juggling a lot of doubt since I arrived in Bali. For those I haven't told, I'm in Canggu, a village on the Southern coast of Bali. It took only one day of chilling here for me to start doubting my choice. I realize now - that is the exact opposite of giving a position the time and integrity it deserves. Looking back on the past three and a half years, I've had a lot of strange coordinates on this planet. Every one of those positions that came to matter took time to stick. I remember when I first arrived in Whistler, I wanted to bail so bad. Two weeks in, I began bawling my eyes out to this stunning free-spirited chick whom I'd only just met. I told her how badly I wanted to give up and go home. I told her I wanted to go back to my safe and reliable friendships at home because there was nothing wrong with them. With confidence, she reminded me that if that was true, I would never have left. She told me to give it more time; and so, I stayed. The reason I began to question Bali so quickly wasn't because of homesickness. It wan't because of a particular obstacle or challenge I was scared to overcome. It was actually due to the opposite. My current position is unique. My day-to-day dynamic isn't really a backpacker or an office worker. It's somewhere in-between those two. I'm doing both those things at once, which in itself is an atypical structure. or determine the theme of this chapter of my life. 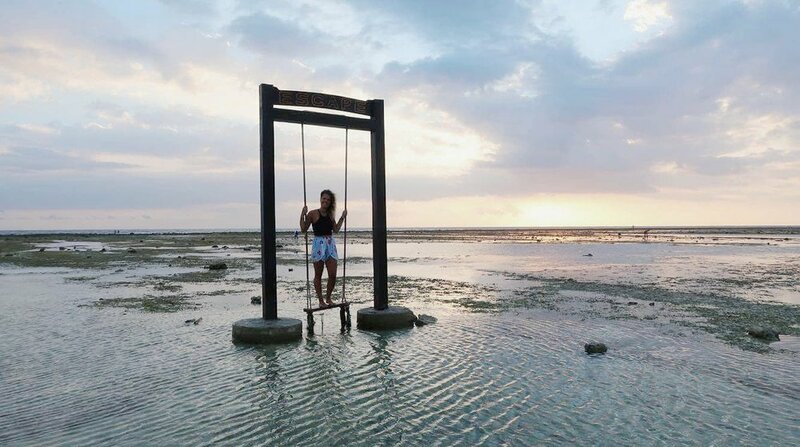 Coming to Bali, I thought I was ready to find stillness. 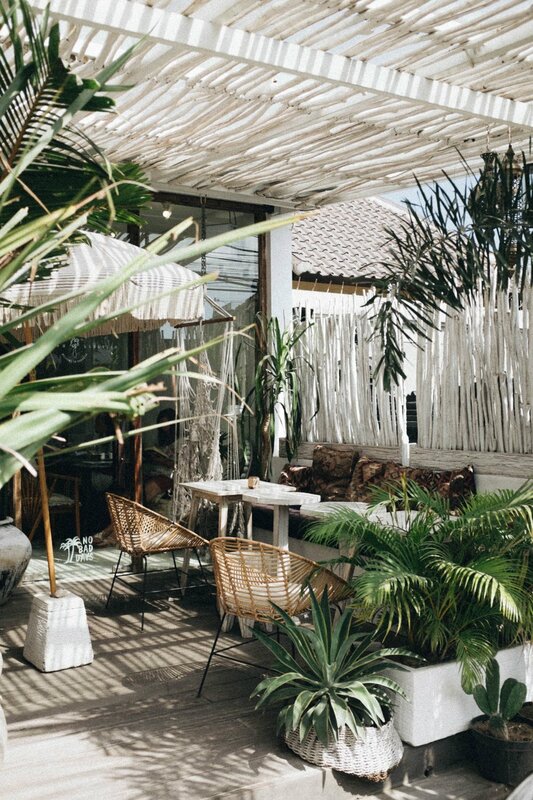 Known for it's co-working spaces and remote working community, Canggu called out to me. I came here wanting to join a community of people who found themselves caught up in the same crossroads. Within about 24 hours I thought I'd made a big mistake. This looming feeling sunk in that I was wasting my opportunity. I could be anywhere in the world, and yet I chose Bali? A relatively Westernized, tourist-dense, easy-to-adapt location - of which I'd previously visited. I let that feeling sit with me for the last few days. (I'll add at this point that I was totally knocked out by a sinus infection so my time to think was exponentially higher than normal). I reached out to friends and came up with about 12 different courses of action I could take to see more of Indonesia. I gathered intel to find out how to push myself beyond Bali. After all, I'm already in Indonesia, why not see what else it has to offer. Feeling pretty good about getting on the move again, I decided to compromise and give Canggu one more week before leaving it in the dust. That decision just became priceless. I'm lying here in a three story treehouse with its own herb garden and alkaline vegan kitchen. No I didn't join an anti-establishment revolutionary tribe... I joined a yoga retreat. And that brings me back to the top. The clarifying moments I had on my mat today set the tone for a new perspective on travelling. There are so many socially constructed expectations about travelling. We develop this drive to constantly be on the go. Rushing through countries and skipping out on cities just to see more; to have more and to do more. Road blocks we put up just to get in the way of our open road. P.S - Pardon the hippie prose that no doubt seeped into this post. But hey, if this is the headspace of the average kombucha-crushing dreadlock-donning yogi stereotype... I'm down.